Link Group Ltd’s new affordable housing development at Thrushcraigs, Paisley has been officially opened by Renfrewshire Council’s Convener of Housing and Community Safety, Councillor Tommy Williams. 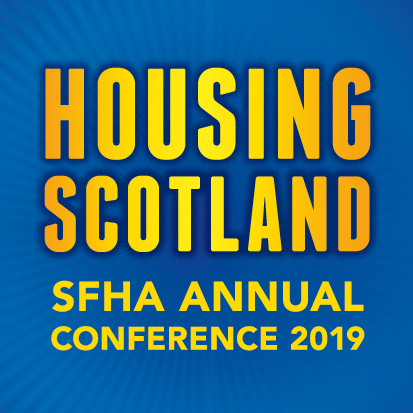 The £7,093,923 construction of 70 homes for social rent and New Supply shared equity commenced in January 2015, using £4.1million funding from the Scottish Government. Built by McTaggart Construction, the 56 homes for social rent included one, two and three-bedroom properties, four of which were designed to meet the needs of a wheelchair user. There were also 14 homes available to buy through the New Supply Shared Equity scheme, including two and three bedroom properties, two of which were designed to meet the needs of a wheelchair user. All of the properties meet Link’s housing design standards and are energy efficient homes that will be economical to run. The properties benefit from solar panels that generate free electricity during daylight, helping to address fuel poverty. Link also recently completed 38 flats at Abbey Place, Paisley. These are a mixture of social rent and new supply shared equity properties designed for independent retirement living. “We are pleased to see the opening of these new homes by Link, which has already delivered a number of landmark projects in Paisley town centre in recent years. Pictured: Link’s new development at Thrushcraigs.